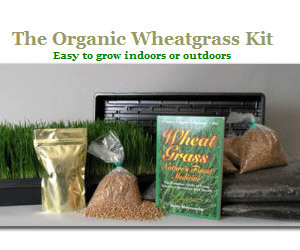 Find out why over 45,000 people have chosen Wheatgrasskits.com for all their wheat grass needs. They proudly provide the most complete selection of kits, wheatgrass juicers and supplies to grow wheat grass, barley grass, herbs, sprouts, greens and edible mushrooms. They also carry soy milk kits, composting supplies, books and more. Their wheat grass and sprouting seed are certified organic.